Keep Calm and Go To Italy! 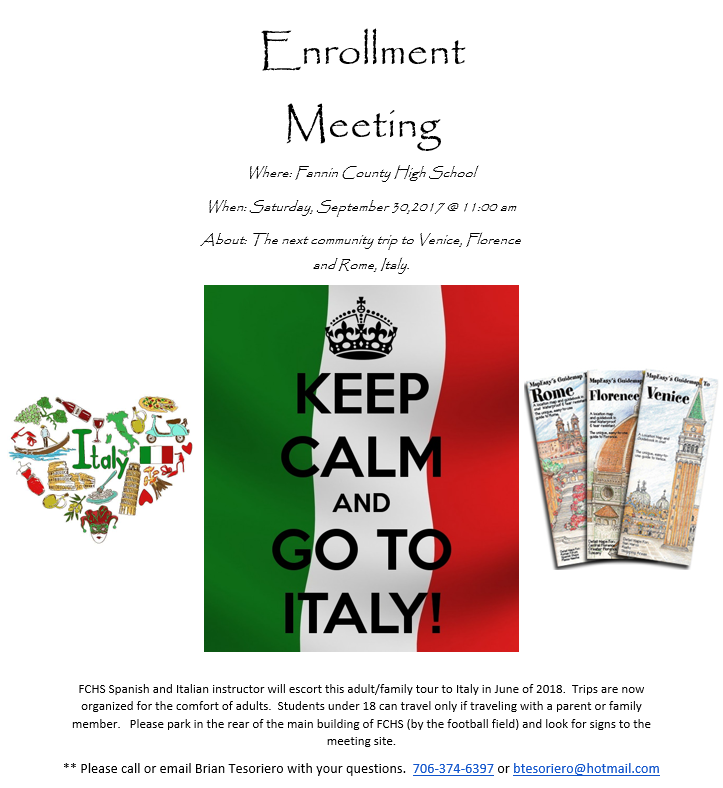 On Saturday May 14th at 11:00am, there will be an enrollment and informational meeting for the next Fannin Community European Trip at Fannin County High School. Brian Tesoriero, foreign language teacher at FCHS will host the meeting. Students, parents and adults of any age are invited to travel on this exciting trip. Participants will experience the gorgeous Swiss Alps while visiting Zurich and Lucerne. In addition, there will be a side trip in which you will cruise across Lake Lucerne and take the worlds steepest train to the top of Mount Pilatus. From here the group will spend time in Lake Como, Italy before spending two evenings at the beautiful Italian Cinque Terre and its picturesque five villages which jut out into the Mediterranean. From here we will visit the second smallest country in the world, Monaco before relaxing on the French Riviera in Nice for a couple of nights. After taking in the sun at Nice, France we will travel inland to visit historical Avignon, Nimes and the Pont du Gard aqueduct. Finally we will end this eleven day tour in cosmopolitan Barcelona, Spain where we will visit the Park Guell and the Sagrada Familia. 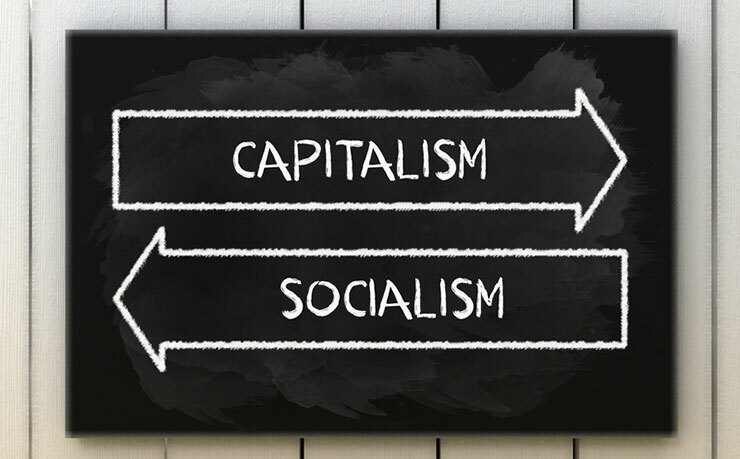 Next Article » A Hiccup!